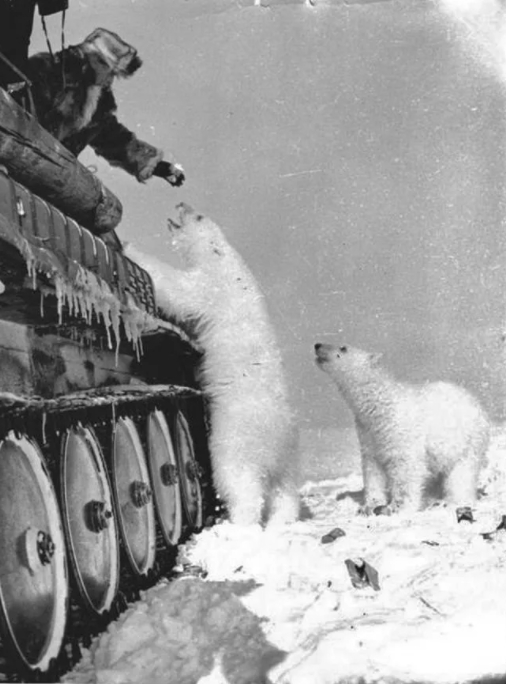 Update- After 2 years and 25 million dollars investigators have determined that this photo is not Russian secret agent Donald Trump receiving instructions from Putin, just Russian soldiers in Siberia feeding wild polar bears apples. CNN is reporting that President Trump is indeed a secret agent and they have proof he was photoshopped out of the photo. Chuck Schumer was overheard saying "Apples are a common espionage tool and should be banned". 3-21-2019 - Chad's March 2019 newsletter is now available. 4-6-2019 Three more links, 'In the News'. 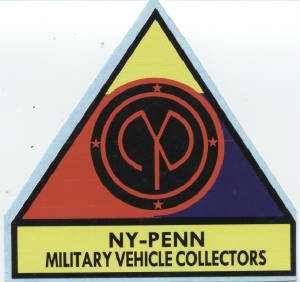 NY-PENN Military Vehicle Collectors Club evolved from the Syracuse Military Vehicle Club which formed in 1986. It's mission- to help vehicle owners get together and share the experience of restoring, maintaining, and displaying retired military vehicles. The roving company meetings are fun and informal. You will find free food, good company and interesting vehicles in an environment free from rap music. Get information about upcoming events and answers to all your restoration and maintenance questions. Some photos here have no captions. If you have names and/ or places, or see errors or dead links, let me know and I will add/ update. 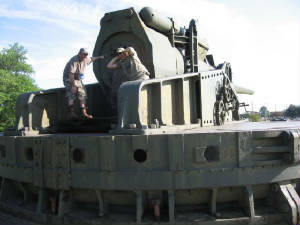 Drunk and disoriented, NY-Penn members xxxx and xxxxx were seen trying to fire Aberdeen's inert 16" Coastal Gun. 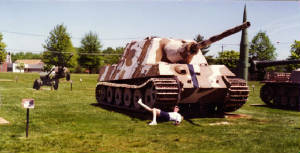 Scott demonstrates how tankers save ammo.